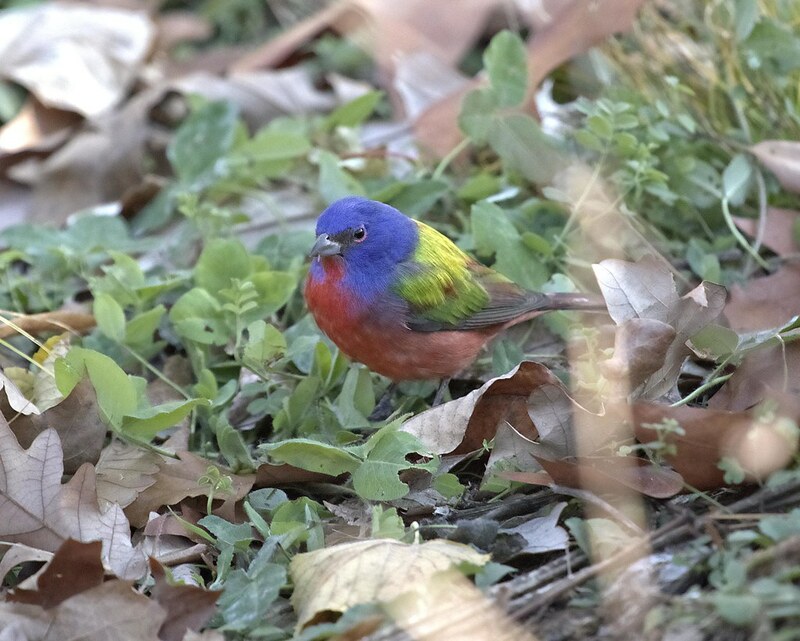 It takes a lot to drag me away from red-tailed hawks, Christo and Dora, but this little rainbow-colored bird was one to do it. 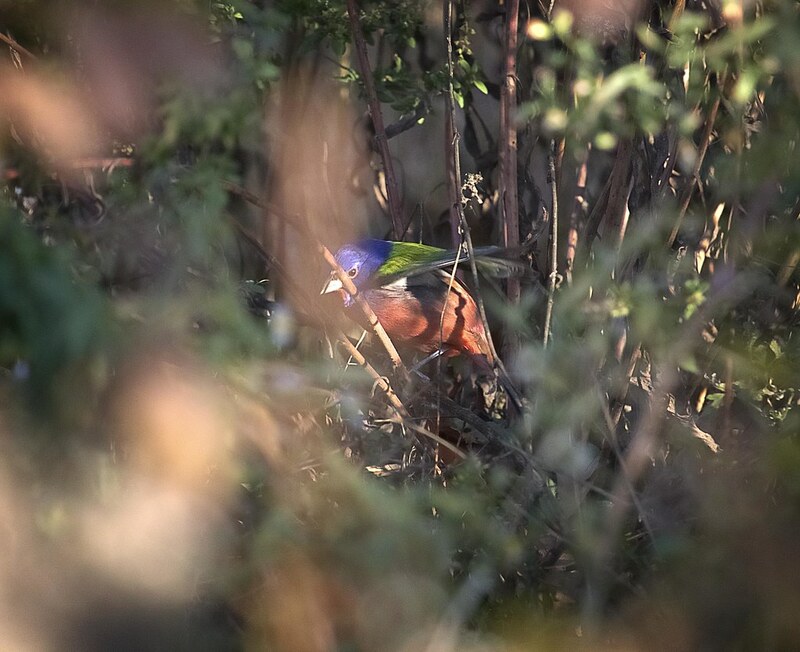 This male painted bunting has been in the news lately as it's an extremely rare sighting. He's been hanging out in Prospect Park, Brooklyn, for several days when he should normally be wintering in Mexico or Florida. He is apparently the only male of his kind ever recorded in Brooklyn, so I had to go meet him. After waiting about half an hour, the tiny bird hopped out from the underbrush to be greeted by an audible gasp from an audience of about 50 people. His colors are absolutely stunning in person. It's worth visiting the park to see him, even if it's only for a few seconds. It could very well be the only chance to ever see this bird in the wild in this area.